I’ve been looking forward to ‘T’. It was set from the beginning. I found the picture below on Twitter a couple of days ago and it was as good an intro as I could hope for. I thought about teaching English overseas during my time at University. That seemed glamorous and a good way of seeing the world. For some reason that idea went away for a long time and I was all set to see the world by making beds in a Canadian hotel instead until fate intervened, denied me a work visa and sent me to Belize to teach little children instead. You can read about that here later on if you want. After that, the idea disappeared again for a couple more years. A few months in paradise was hardly going to equate to a career, was it? That said, there was a tiny germ of an idea left inside me. I started to lean towards situations at work that involved training people. The die was cast and it was, at this point, inevitable. Skip forward about a year and a half and I was working for a car rental firm at Heathrow, trying to figure out a plan for what I wanted to do long term. That was what I told myself I was doing anyway. Really, I was just treading water. It was only after applying for a supervisory position, having an interview and taking the job that I finally had the epiphany. I was on my way home and I admitted to myself that I didn’t want to do this for life. I wanted to be a teacher like I was in Belize. I went straight home and started planning. In an evening, I sorted out the next three years of my life. They were offering money to train as a primary teacher at the time. I would have to apply to do the course the following year as it was already October. While I waited, I would do a TEFL course and then disappear off somewhere until the time came to start my PGCE. The somewhere I disappeared to was China and you can read about that here. I should thank my parents at this point for all their support, without which none of this would have been possible. When I came back from the Far East, I did some more Language teaching as part of a summer school for European students at Oxford Brookes University and then got ready to start year two of my three year plan. As a side note, that does mean that I can talk about “that time I did some teaching up at the University in Oxford” and not be entirely a liar. I looked through the course outline and requirements and realised that this was going to be a big commitment. I’d been swanning around in China and hadn’t bothered to actually read about what I’d be doing when I came back. Just the essays for one thing; there were so many of them. I think I had 10 to do over the Christmas ‘holidays’ that year. That actually turned out to be manageable after the intensity of my first teaching practice. I had a Year 6 class and I started out by trying to be everyone’s mate. Rookie mistake number 1! It really is an uphill battle from there. I look back at those teaching practices I did during my PGCE and I think about how difficult everything was. I cringe at some of the things I thought would work in my naivety. Planning a lesson used to take me ages. I’d be on for hours trying to put something together that would work and most times it wouldn’t. If it did, it seemed as though it was more by luck than judgement. The wonderful thing about this job is that it doesn’t necessarily get any easier. Sure, you get more experienced and you build up a bank of things that usually work but they don’t always. You can still spend hours trying to come up with interesting ways of helping children to learn. Why is that wonderful, I hear you ask? Well, there’s a good side to it, too. If you’re reading this as an NQT about to start, you should take heart. The good bit is that you are never finished learning as a teacher. No matter how long you do it, there is always more to learn. I’ve had jobs where you know everything within a couple of weeks and can then switch off, kick in the autopilot and just wait for the end of each day. That gives you no satisfaction at all. You spend a lot of time out of your life at work. If you’re just waiting for each day to end, then that’s a big chunk of time that you’re flushing down the toilet. My hairline isn’t going anywhere except backwards and I’m slowly accepting the fact that that situation isn’t going to be reversed. I want to make sure that the time I spend at work actually means something to me. That’s what you get as a teacher. It becomes a part of who you are; a part that you find creeping into other parts of your life. I’m a Deputy Head now but most times, if people ask me what I do, I still say I’m a teacher. It feels good, like I guess it must feel if you tell people you’re a doctor. It has a certain nobility to it (unless that’s just smug self-assurance on my part – anything’s possible). You get to work with children, too. That’ll keep you young forever. and those inflatable sea creatures hanging from the ceiling didn’t just show up. I paid for them myself because I didn’t think I could justify what they would add to the learning experience for the children (I still don’t). They sure did look nice, though. I wanted my classroom to have an undersea theme. I just looked at the picture and saw the cushions on the table, too. They cost me about 20 quid from a now-defunct shop in the Elmsleigh Centre in Staines. Whoever my star table of the week was would get to have cushions on their chairs the following week. That’s the kind of stuff that loads of teachers do. You only have to look on Facebook groups for teachers to see people comparing the pen holders and organisers they’ve scoured IKEA to find. Your classroom becomes kind of an extension to your home like an extra room. When you shell out for things, you justify it to yourself by saying that this is a space in which you spend lots of time. You want it to be perfect. I bet those truck drivers in the USA who have big confederate flags behind their chairs and stuffed animals taped to their radiator grills pay for them themselves too. Or does the trucking company pay for them? I don’t know. Again, for the NQTs, when this goes live, you’ll only be a few days or so away from starting. I remember that feeling. It’s like after you pass your driving test. That first drive you take without anyone else in the car. The bell goes that first morning and you’re a teacher. It just happens; don’t worry. No matter how much people talk about the curriculum and how rigid it is, there’s always latitude to do things in your own way, too. When you’re passionate about something, children get passionate about it, too. Except with the old QCA topic in year 3, ‘Rocks and Soils’. I could never drum up any enthusiasm for that and yet the children seemed to have an inexplicable love for it. It’s a guaranteed way to get some learning going on – all you have to do is get excited about something. I’ve got a set of old keys that I got from a charity shop in Stratford, all chunky and rusted. I tell you, over the years I’ve told children that they’re the keys to all sorts of places – everywhere from the school dungeons, the entrance to which is hidden in the back of the caretaker’s cupboard, to the original keys from the bakery in Pudding Lane where the Great Fire of London started. They’re on loan to me from my friend who’s a curator at the British Museum but we have to keep it quiet or he’ll get into trouble, wink, wink! Bang, all of a sudden, the children are excited and want to know all about the Great Fire of London. I was always keen to be an actor and being a teacher gives me the perfect opportunity to ham it up to my heart’s content – to a William Shatner level at times. You get the celebrity of being a famous actor along with it. Don’t believe me? Just go for a walk down your local High Street on a Saturday and wait for the inevitable calls of your name from some bewildered child across the street, overcome by the idea that you actually shop and eat and exist outside school. It’s pure ego fuel and I’ll admit I enjoy every minute of it. When Tom Baker was playing Doctor Who, I hear that he would always carry jelly babies around with him, wherever he went, just in case he met young fans. That way he could live up to the image they had in their minds. When I’m out and about, I try as hard as I can to make Richard Austin live up to the ideals that I say are important to the children when I’m Mr Austin, just in case someone’s watching. You can never tell when you’ll be spotted. You expect a certain anonymity as you’re browsing the Duty Free shop in Alicante airport, carrying a litre bottle of your favourite gold rum. “Hello, Mr Austin!” Busted! Back to the curriculum, though. You can always find things to get passionate about. I remember this one time, we had a special day at school celebrating different art from around the world. In the preparatory staff meeting, when we were dividing up examples for each year group, I stuck my hand straight up in the air for “Native American.” I mean how else could I make my school look like it was in Twin Peaks. The Year 6’s loved making it, they learned about Native American art and I got to indulge a sudden urge to do some wood carving. Everybody wins. As a teacher, you’re forever seeing people in action who do things differently and it makes you want to change your own practice. I’m not going to name any names (the people concerned will know who they are, I’m sure) but I’ve been so fortunate along the way that I’ve always ended up working with people who are so good at it. Seriously, I have such an inferiority complex when I think about some of the great professionals I’ve been lucky enough to share corridors with. People with such keen insight into children and how they learn that I feel blind sometimes. I have a few tricks up my sleeves though. I thought I’d use this post to share a couple of the things that I’m most proud of from my 15+ years on the job thus far. This A-Z thing I’m doing is all about me after all. Firstly, we had a workshop at my first school from a fellow called Nick Briscoe. You can find his website here. He had some great ideas about how to inspire children’s creativity and get them to produce stories or ‘class soaps’ as he put it. The idea is that you never write down the whole story. You just keep talking about it and adding bits on and maybe you write things that are related to it (a formal invitation to a party that happens during the story, for instance). As a storyteller myself, I wanted to see how this worked with my Year 6 class. We came up with the tale of an ageing movie star who is conned out of a million pounds by an ambitious, vindictive charity worker. We just started with a location and it grew from there. 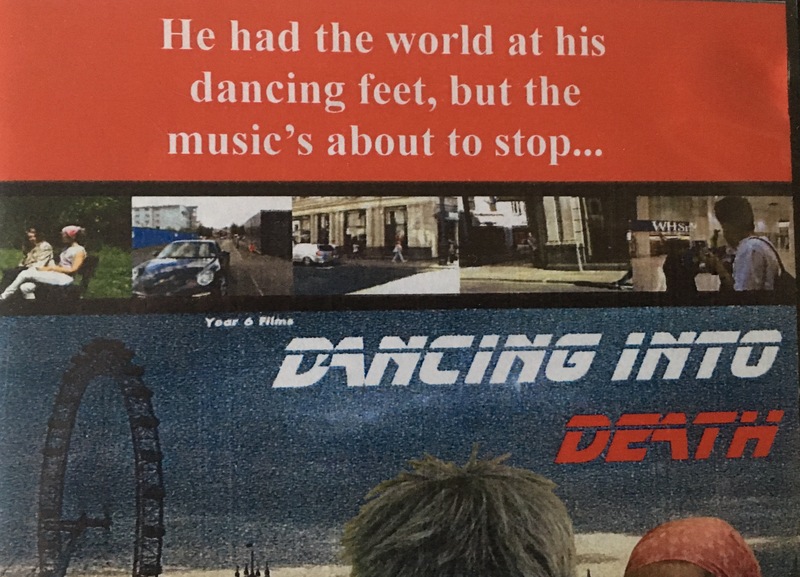 It was such a solid premise and I couldn’t believe how well the children got on with adding details, down to the kind of films that our man had starred in. I had some basic video equipment and I decided that we should have a go at making a film of it. The children all applied for jobs; everything from actors to camera operators to concept artists and editors. This is where it comes in handy having a management team who support creativity. Usually, if you’re passionate enough about an idea, you can convince people to let you try it out. Having assembled our team, we set about writing the script as a class and then filming it. We went all over: Old Bond Street, Heathrow, Guildford. Different teams went to different places and we had to apply for filming permits for some locations. Also, we managed to get the use of a Porsche to film a scene with our movie star; this was after being turned down by the Ferrari and Aston Martin garages. The children made the phone calls and filled out the forms and they were part of it at every stage. What we produced turned into a 17 minute film which I managed to get the local cinema to screen for us. We made it into the local paper and everything. Two years later, I did it all on a slightly more ambitious scale. I saw some article about an independent school who’d made their own version of The Hobbit or some such thing. They’d filmed it in the Lake District and had a ten thousand pound budget. My competitive edge was sharpened. I figured we could improve on that and we wouldn’t need any money to do it. 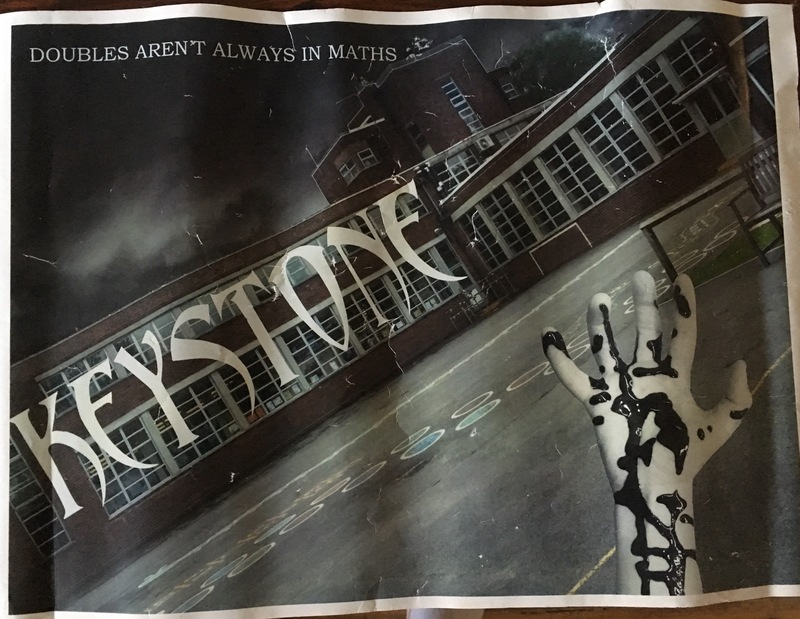 So, this time we made an inter-dimensional thriller called ‘Keystone’, all shot inside our own school. The ideas phase with the children was really electrifying. They were coming up with wild concepts and it was a real pleasure to listen to them. Lots of children who didn’t usually get involved suddenly felt confident enough to take centre stage. I made the children apply for their jobs and, once I’d appointed a Director, Assistant Director and Producer I made them interview all the other applicants. These three ten year olds held auditions, made decisions and it was really difficult for them but they learned so much about responsibility through doing it. The scriptwriting process was a lot more detailed and we did a lot of it on our VLE. It’s a great validation of your methods when children who aren’t necessarily into writing ask you if they can write more than the scenes you’ve asked them to work on. I’d upgraded my equipment a little and had a decent microphone so we had camera operators and sound technicians this time around. We needed a shot of some of the children on the High Street and it had to be completely deserted. I had to ask six of the children to come to school at 5am in the morning to get the scene filmed along with the caretaker (thanks, you definitely know who you are) in order to make up the adult:child ratio. I suppose that’s another endorsement when parents are willing to get up that early to bring their children to school for an idea that you’ve had. For the record, you’d be amazed just how much is going on at 5am. We needed complete silence and no-one around but there were bin lorries and people and cars. We really had to pick our shots and work quickly and even then we had to cut the sound and replace it with music as it was just too noisy! The resulting film was close to half an hour complete with eerie special effects and a David Lynch homage that I managed to squeeze in at the end. One of the most pleasing aspects of it was how the children had excelled in their roles. The actors had really developed over the course of the project, the camera operators had mastered what they were doing and the video editing team were doing a better job stitching together footage than I could do. Seriously, there was a scene that I thought had been missed so I put it all together and then found a version of it that they had done. It was so much better than mine and that made me feel so proud of them. Again, I managed to convince the local cinema to show it for us. We didn’t film this next one but we also made up a great alien invasion story as a class. I was trying to get across the build up of tension. So many times, children write stories and the aliens or monsters or whatever turn up inside the first paragraph. I wanted to make them see how in a real story or film, you don’t see any aliens until at least halfway through. You might see evidence of aliens, like some green stuff on a leaf (name the reference I’m making here in the comments and I’ll give you a gold star) or a leg disappearing into some corn (another gold star for that reference) or something, but you don’t see the alien. To help them understand, we figured out the whole story together, broke it up into pieces and then they got into pairs and wrote a piece each. That way we ended up with a very long, complete story. Apart from the stories I made up with the children, I also wrote a couple myself. I wrote a leavers’ play for year 6 one year: a version of the Theseus and the Minotaur story which you’re welcome to use. You can find it here. I also wrote a nativity play with lots of sheep in it which I’ll be putting up on this website soon for anyone who cares to use it. So, that’s my story of teaching – how I became a teacher and some of the things I’ve most loved doing as a teacher. It’s a wonderful job and it brings you into contact with the most marvellous people. There’s your colleagues – the ones who inspire you and have your back, who all pull together when needed because that’s just what we do as a team. Everyone from the office staff to the teaching assistants to the lunchtime supervisors and caretakers and everyone else who comes to school to do a job. They all bring so much and they all do it because they care. There’s the governors – never forget that these people are all volunteers; they have jobs of their own and yet they come in to help, taking on actual responsibility and giving up their free time to make things better for children and staff. There’s the parents – they’re trusting you with their children, the most precious things they have, from the time they walk through the gates until the time they go home; that level of trust is monumental and can never be overstated. Then there are the children themselves – as a teacher you’ve got a chance laid out for you on a silver platter. Gandhi never actually said “Be the change you wish to see in the world.” He said this: “We but mirror the world. All the tendencies present in the outer world are to be found in the world of our body. If we could change ourselves, the tendencies in the world would also change. As a man changes his own nature, so does the attitude of the world change towards him. This is the divine mystery supreme. A wonderful thing it is and the source of our happiness. We need not wait to see what others do.” You can be the inspiration and influence for the young people who are going to be making all the decisions and holding all the cards in a few short years. They’ll remember you and the things you say, I guarantee it. The messages you give, the things you aspire to for them, the respect you show and the love you have for learning will all seep into their consciousness. You might not see it while they’re with you but it’s there. I got a Facebook message a couple of months back from someone who was in my first ever Year 3 class. This came completely out of the blue. He was reminiscing and wanted to tell me that I’d helped his confidence. he’s working in an accounting firm now (he was always good at maths). That kind of thing makes your heart sing. It’s the kind of thing that I wish for everyone who shares this job title with me. If you’ve enjoyed reading this, you might like to check out my other posts in the ‘Blogging from A to Z Challenge’. It was meant all happen in April and now it’s nearly September but hey, I’m getting there slowly. I still have no idea what X is going to be about. Predator and Signs. Where’s my gold stars Teach?